This packet contains 12 assorted edible pirate cake decorations designed by Holly Cupcakes. 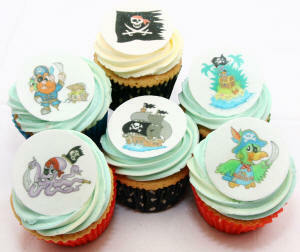 There are 6 pirate designs so there are 2 of each design in a packet. 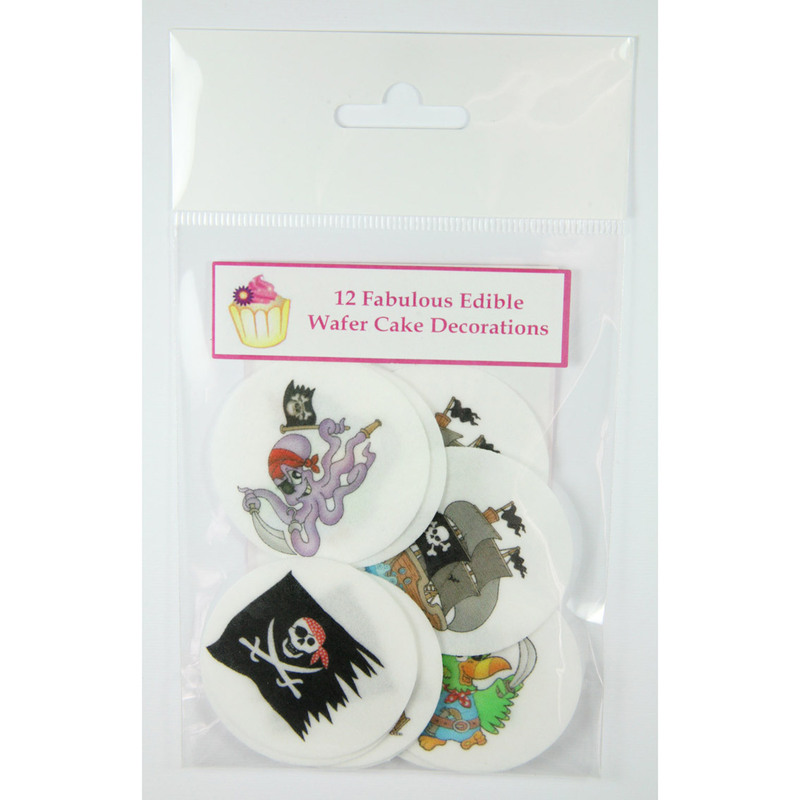 These decorations look great when used with our skull and crossbone design muffin or fairy cake cases.